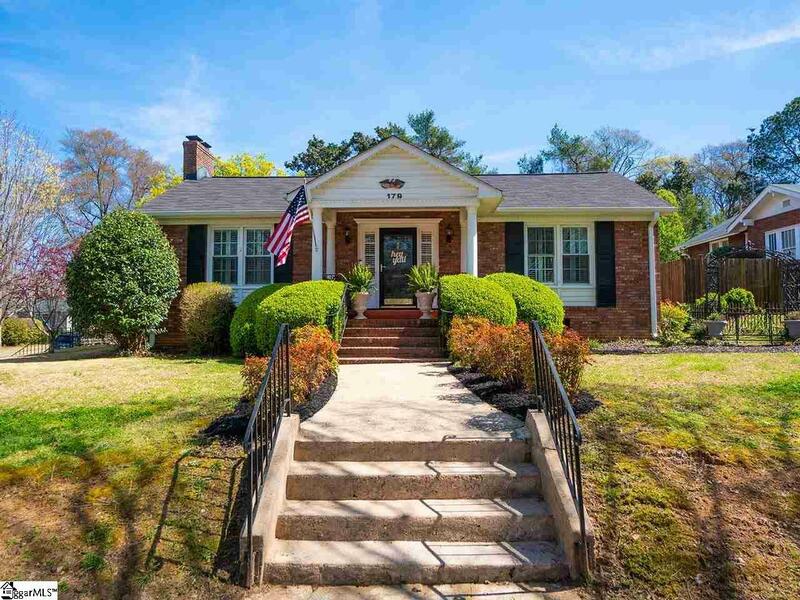 Located in Spartanburg's historic district Converse Heights! 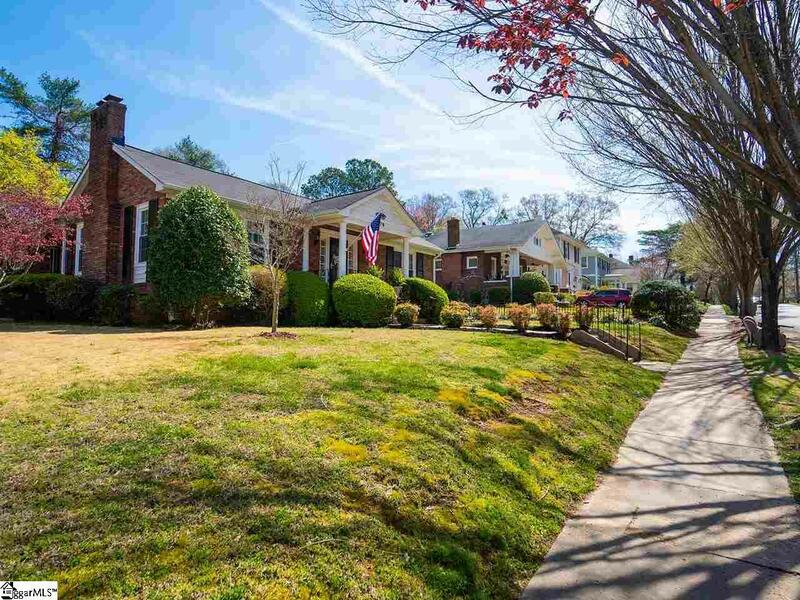 This 3BR/3BA home is located three blocks from downtown Spartanburg! This fabulous historic district features sidewalks throughout and a children's park a block away. Wrought iron arbors and gates allow access to the yards and gardens. 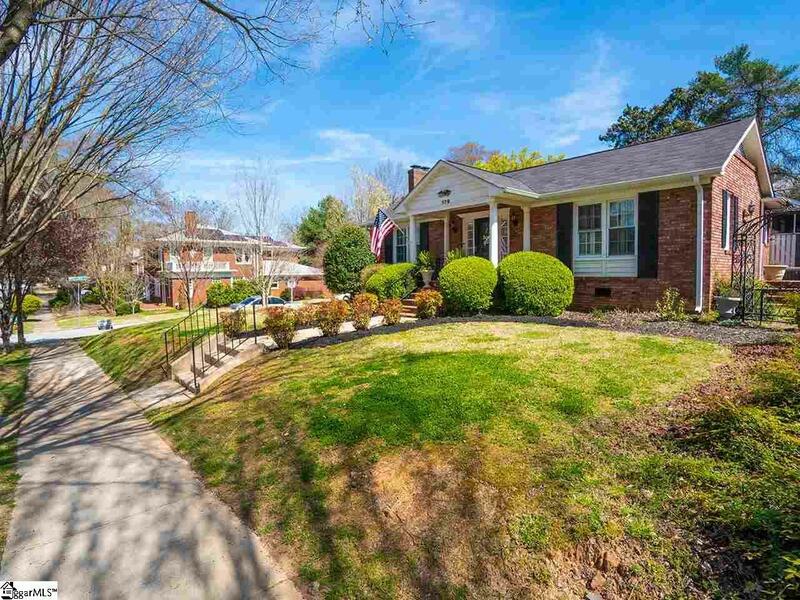 Beautifully updated and maintained, this corner lot home is one of the very few in Converse Heights that has an attached two car garage! The entrance features a warm welcoming foyer that leads into a hallway with built-in cabinets the entire length of the hallway. 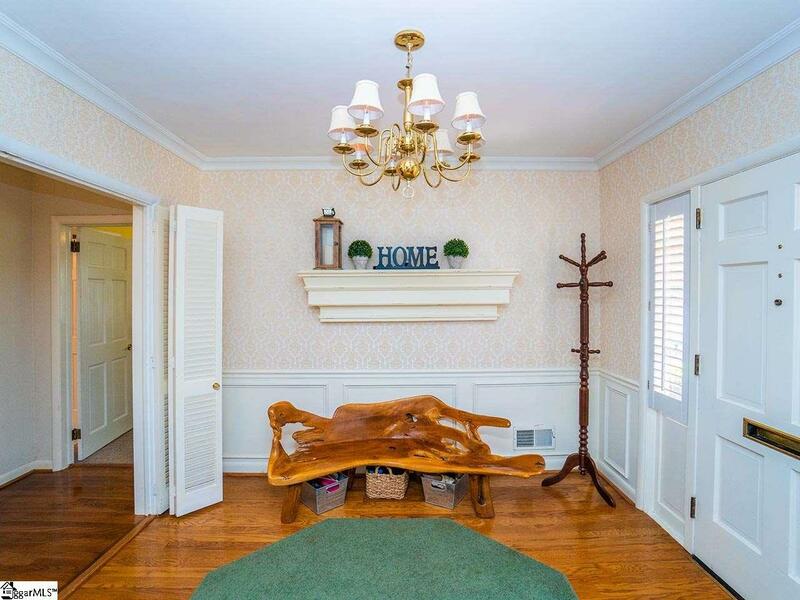 To the right of the foyer is the front bedroom with a full bath. Further down the hall on the right side is the master bedroom. The master bath features a double vanity, jetted tub and separate shower. To the left of the foyer is the living room with plenty of room to entertain guest, a formal dining room plus a large kitchen breakfast area with bay window to watch the magnificent array of birds. Just off the kitchen is a screened porch where you can enjoy reading a book while enjoying your morning coffee. At the back of the home is the den area that features a wet bar and access to a side patio that has room for your own personal garden. Some more features of the home are granite kitchen counters, whole house fan, two gas fireplaces, two attics, hard wood floors, crown moldings, wainscoting, energy efficient windows, plantation shutters throughout, garage storage/workshop, private side garden, laundry room with two cedar closets, two screened porches plus two open porches. Recent upgrades include: new gas logs in formal living, new (main unit) HVAC installed Jan. 2019 w/10 year parts warranty, crawl space clean out Spring 2017, new ductwork to main unit. Garage doors added Fall 2016. New wood-plank tile in kitchen. New dishwasher installed October 2017. Updated electrical/lighting. Don't miss out on this beautiful home!